Galway has some wonderful up and coming artists, and with their scenic landscapes all but guaranteed to inspire, Connemara, the Aran Islands and the city itself all offer plenty of food for visual thought. There are many of arty types who make the county their home, but where can you check out their work? Here are our favourite spots to get a taste of what Galway’s vibrant art scene is all about. The city’s best artist offering, the Galway City Museum combines a gallery area with a history museum exploring the tales of The Claddagh, the Vikings, and the British occupation. The exhibitions rotate, meaning you can never be too sure what to expect when you walk in the door, but in recent years it’s ranged from an exhibition of Irish traveller portraits to ‘Sacred Art’, a display of the work of Evie Hone, one of Ireland’s first cubist and expressionist artists from the late 19th century. 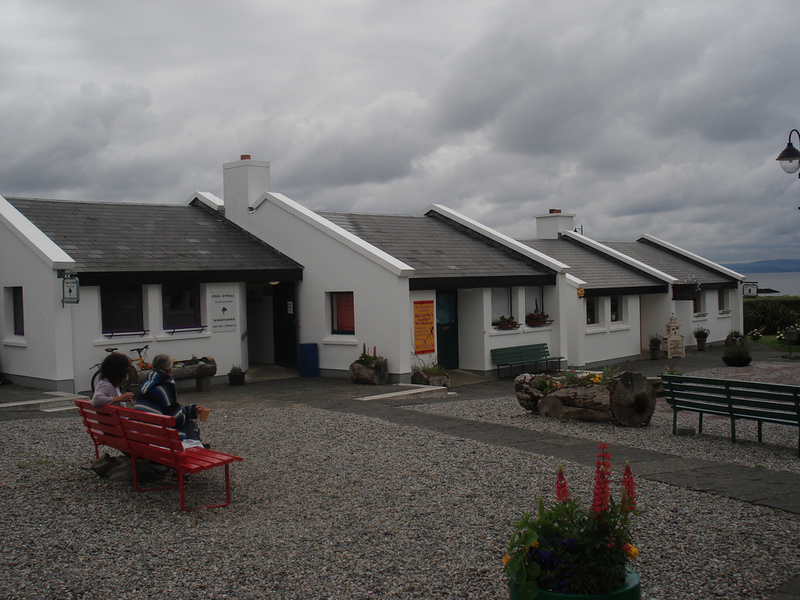 A beautiful spot in equally beautiful Connemara hub Clifden, The Whitethorn Gallery is run by local artistic star Anne Merrins, and describes itself as a ‘mainstream art’ location. That means lots of delicate landscape prints, stark statues and a handful of in-house painters. 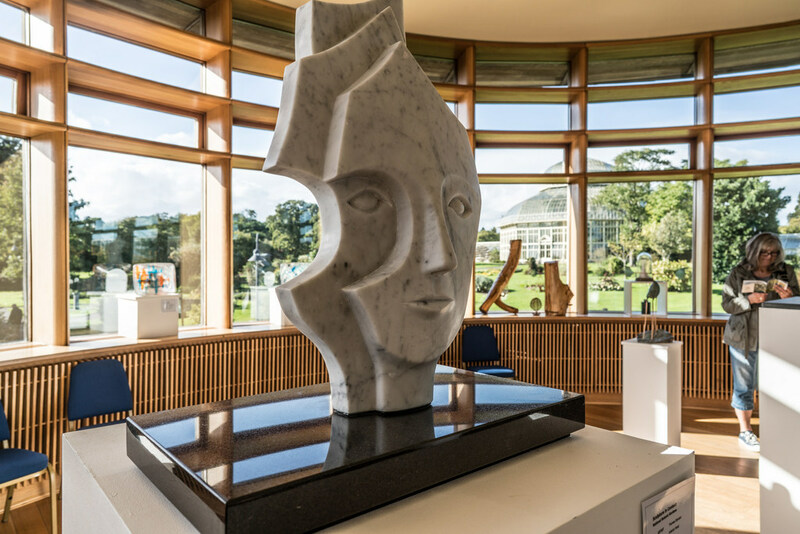 You’re sure to find plenty that references Connemara itself, but there are also fine works from around the country and further afield. Not an art gallery as such, but certainly one of Ireland‘s best creative communities, and a corner of Connemara that any arts-loving visitor will want to see. Spiddal Crafts is home to both the production and sale of anything from hand-blown glass to ceramics, coin-based jewellery, and the work of Brazilian resident artist Andrea Rossi, who makes vibrant folk art. Seeing the art in progress is the best part. Bohoona East, Co. Galway, Ireland. A far cry from the city’s plusher galleries, 126 is the rawest of the artistic offerings on this list, and for some that will make it the best. Associated with street art and bold exhibitions, they run on a shoestring, with regular calls out to the community and lots of bold, imaginative projects. Exhibitions tend to be short-lived and dramatic, with plenty of colour, and the residents are extremely passionate about what they do. 15 St Bridget’s Place, Galway, Ireland. 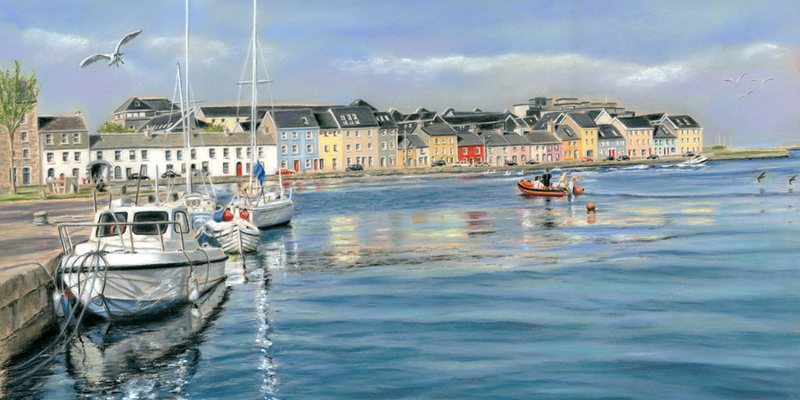 Vanda Luddy is arguably Galway city’s key current artist, capturing the city in colourful, textured tones which make her images an extremely popular piece of city memorabilia amongst tourists. Her gallery in the heart of the city features pictures of sea scenes and pubs, Galway towns and Connemara peaks. Most come as prints of various sizes, framed or unframed, with the odd original for those with a heftier wallet and walls craving a taste of the west. 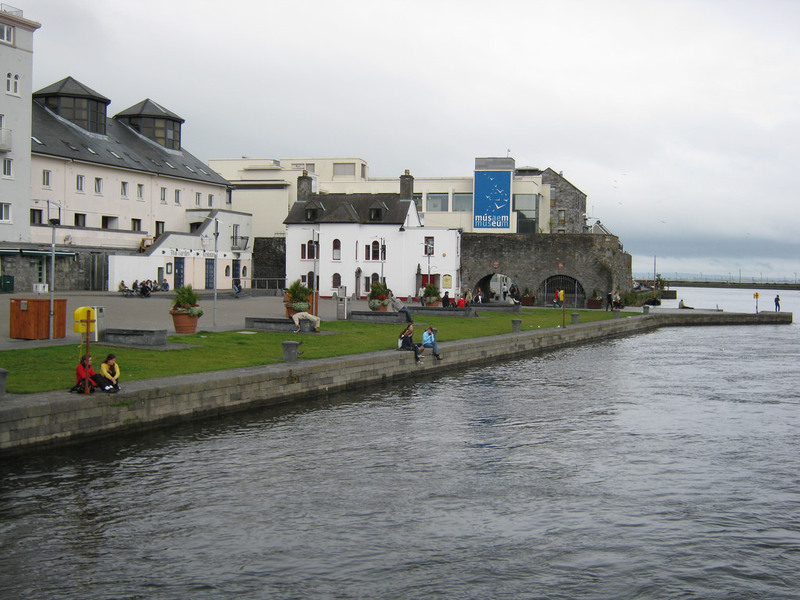 Galway’s contemporary arts hub, the Galway Arts Centre is another revolving exhibition space that takes in an incredible array of local art and entertainment, including theatre and visual arts. The gallery is equally fluid, with a penchant for cartoony modern art and statement sculpture. There are classes, too, if you feel like getting your hands dirty. Half gallery, half bookshop, the Kenny Gallery is one of those spots that’s worth the detour required (it’s located in a slightly out of town business park). With more than 75 years selling art behind them, the Kenny hosts statues and paintings, almost exclusively with a local bent. Think abstract landscapes, swirling natural-based statues and artists imported from around the globe, all of which seem to fit right in. The books aren’t bad, either.